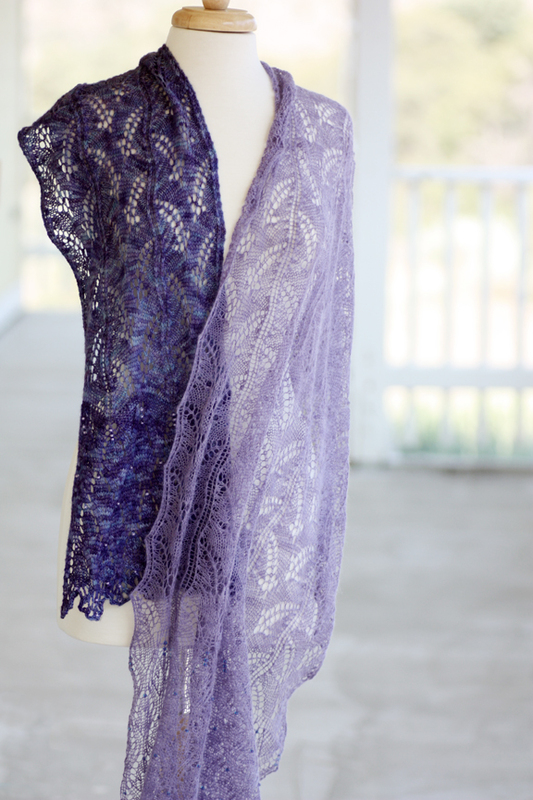 The scarf is done from lovely Iridaceae Colorworks sock yarn (Cypella) in Irisberry. 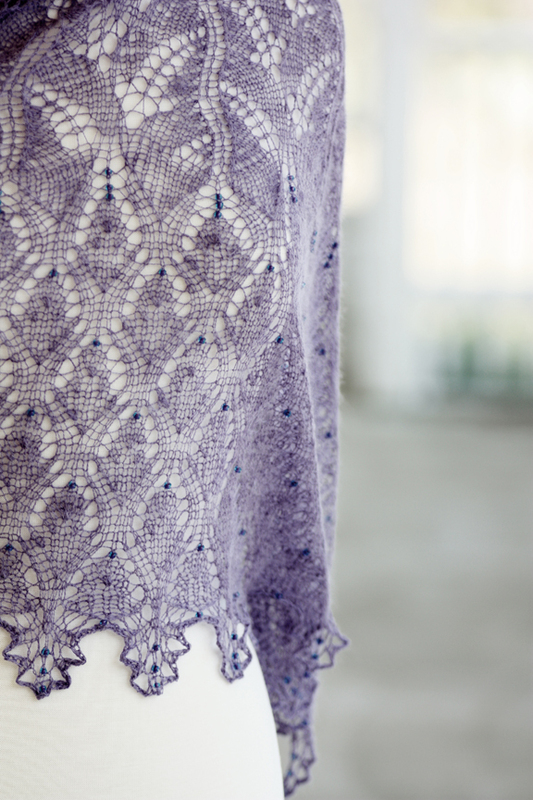 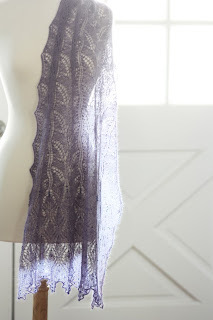 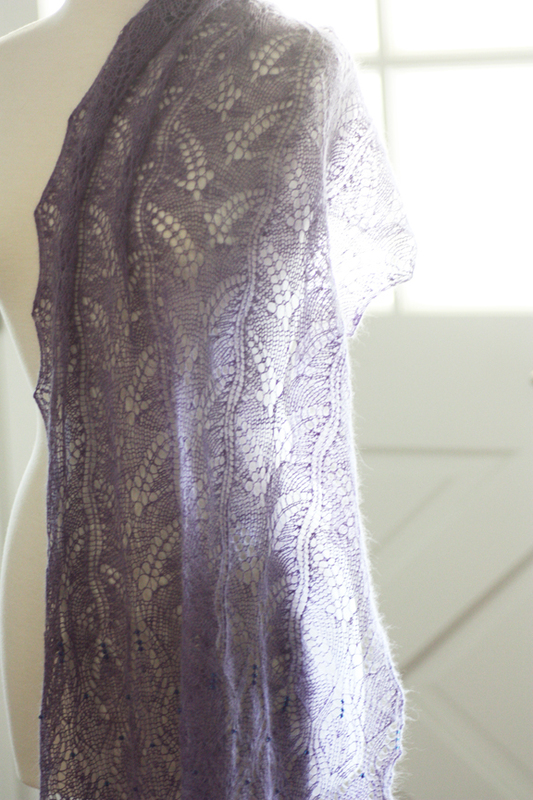 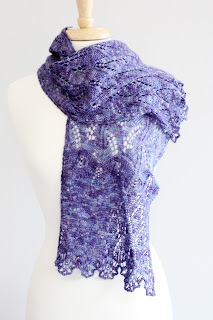 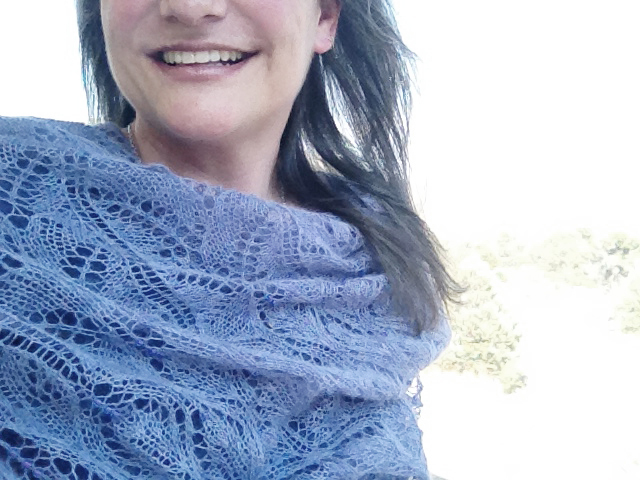 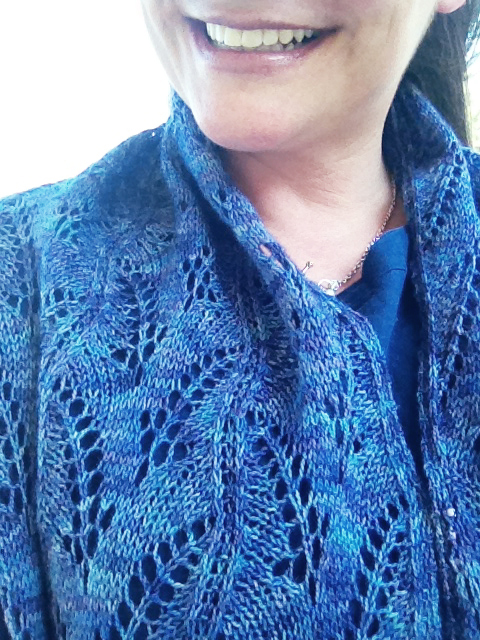 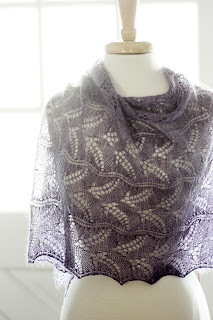 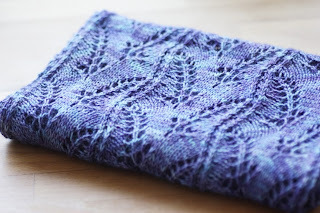 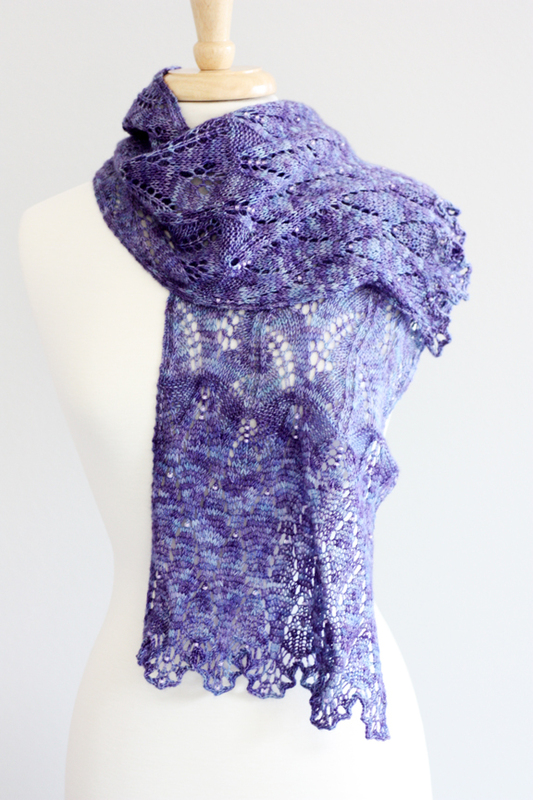 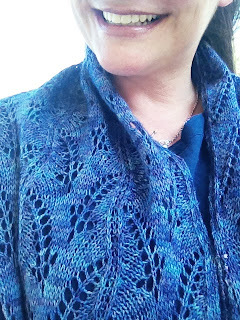 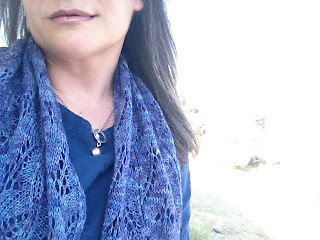 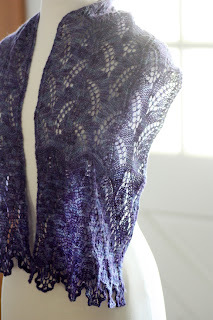 And the stole is done in scrumptious Cassiopeiae Lace yarn in an incredible dusky lavender. 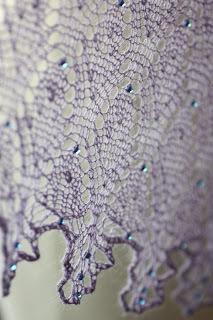 I was in such a purple mood. 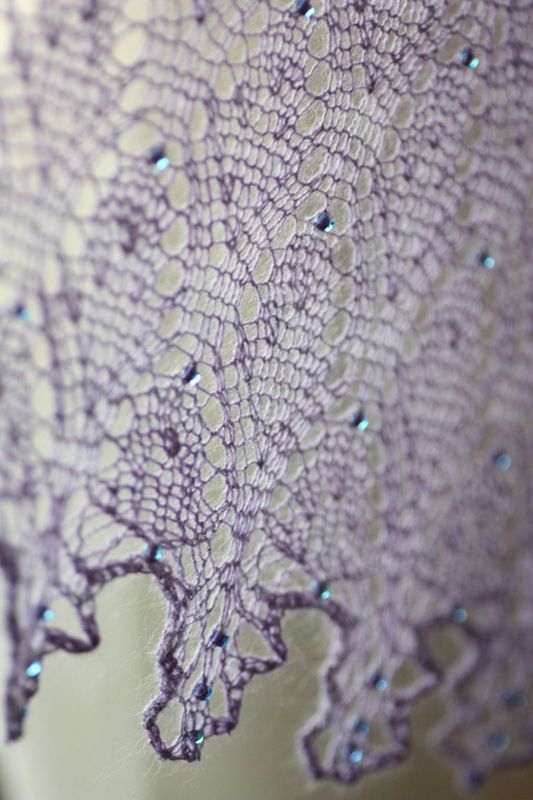 With some beads thrown in. And this was the perfect medicine. in the few moments of chill throughout this heatwave. This week of patterns has been so beautiful! 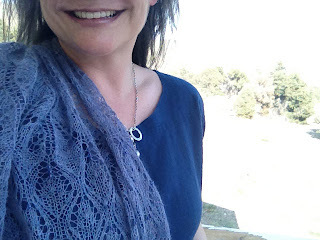 And all so different!